Are you a field service business owner or manager in the market for a new service vehicle? Then you'll want to exercise caution, as selecting the wrong vehicle can drag down revenue and hurt productivity. As a field service technician, you'll work in a variety of environments. You might be based in large metropolitan areas, feeding parking meters and squeezing through narrow streets. Or, you may serve rural customers separated by large distances. Each of these settings lends itself to a specific service vehicle type. A lot of city-based field service providers prefer enclosed service vehicles, such as sprinter vans. They are easier to parallel park and can handle cramped streets with ease. Conversely, technicians in more rural settings go for box trucks or even open service-body pickups. Whether you're planning to squeeze through congested city streets or spend long stretches of time on the open road, you need a vehicle that fits your surroundings. HVAC technicians transport dangerous substances and therefore need secure service vehicles. Security should be at or near the top of your list during the service vehicle purchasing process, as selecting the wrong model could hurt your livelihood. American businesses regularly grapple with the financial and operational fallout of motor vehicle and property theft. While larger enterprises can absorb occasional losses, small field service companies and independent contractors work with much thinner margins and do not have the same luxury. It is therefore essential that you invest in a vehicle that is secure and actively prevents property theft. Enclosed vehicles such as vans and box trucks rank the highest in this regard. They come equipped with industrial-strength cabins and locks. By nature of their design, pickups and other open vehicle models are significantly less secure. As a modern field service tech, you may carry around all kinds of equipment and materials, including some items that pose a threat to customers, passersby and the environment. 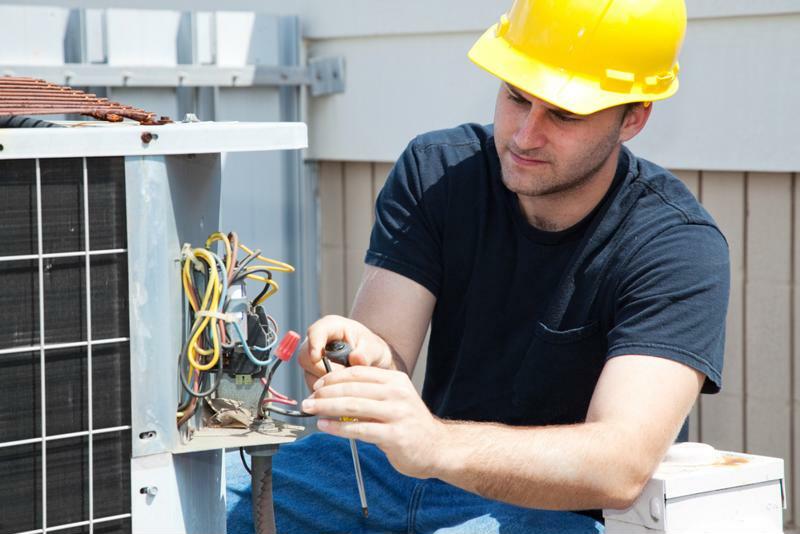 For example, most HVAC technicians haul multiple types of pressurized gas, which are substances that fall under the regulatory purview of the Environmental Protection Agency, which can dole out devastating fines for misuse. Additionally, cannisters filled with these gaseous substances used for refrigeration purposes can quite literally turn into fast-moving projectiles if punctured, posing a threat to anyone in the vicinity. This is why technicians handling similarly dangerous materials opt for vehicles that can properly hold such items. Enclosed box trucks and sprinter vans are your best bet here, as these models can keep dangerous substances and tools contained, reducing the likelihood of injury or fine. Inventory management is probably a critical concern for you, as you lose money-making opportunities every time you take detours to stock up on generic parts. Ideally, you want to have everything you need on hand so you can respond to almost any call at a moment's notice. Service vehicles actually play a significant role here, as effective storage can facilitate optimal inventory management and reduce the need to visit parts vendors after every appointment. Both enclosed and open models can support robust custom storage installations and revenue-building inventory activities. However, different industries benefit from disparate models in this regard. For instance, plumbers can gain considerable ROI by using enclosed vehicles with storage compartments for small, mission-critical parts. The same is not true when it comes to service-body pickups and other open models, as these vehicles are not ideal for carrying significant parts inventories that might need protection from the elements. These are all important variables to think about as you navigate the service vehicle buying process and choose an automotive base of operations that meets your specific needs, no matter the model.